Kindly contact us to order this model. If you are looking for an acoustic with a truly powerful sound and great playability at a reasonable price, you have to try the Yamaha LL16. SKU: LL16 Categories: Acoustic Guitars, Semi-Acoustic Guitars Tags: ll16, yamaha Brands: Yamaha. With a solid Engelmann spruce top, multilayered mahogany/padauk reinforced neck, and ebony fretboard, the Yamaha LL16 acoustic guitar can be judged an excellent deal on materials alone. Yet where this dreadnought really shines is on the strength of its handcrafted construction by expert Japanese luthiers. Every step in the creation of this excellent instrument, from tonewood selection to hand-sanding the frets, is done in a small factory by master craftsmen. Most manufacturers are using Sitka spruce tops for their high end models. In Yamaha’s experience, Engelmann spruce (Canada) naturally suits the role for top woods better than any other. The overriding quality for body top material is an allowance for resonance and Engelmann spruce has this attribute in abundance. It is a light wood that is easy to work and enables a good tone response with a wide harmonic range. Visually Engelmann spruce is comfortable on the eye and its opaque light yellow tint is reminiscent of a mature acoustic instrument. Yamaha uses solid rosewood for both the back and sides on all the LL16. The rosewood blends extremely well with the Engelmann spruce top. It disperses resonance evenly and effortlessly. The neck block reinforces the neck joint. Yamaha has improved the conventional C block design by enlarging the surface area that is in contact with the top of the guitar. The block securely meets the underside of the top adding a real depth to the tone of the instrument. A.R.E. is an original wood reforming technology developed by Yamaha. Through precise controll of temperature, humidity, and atmospheric pressure, the molecular properties of the wood can be manipulated into a more acoustically ideal condition, similar to the molecular characteristics of woods in instruments that have been played for years. X-bracing maps out the vibration patterns of the guitar. Each of the eight braces has been carefully positioned in order to bring out the tone in a balanced fashion and find a natural harmony with the guitar’s tone woods. 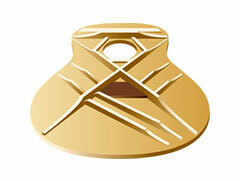 Traditionally, an acoustic guitar neck is carved from a single timber block. As the grain of the timber has to be angled at about 14 degrees to accommodate the headstock, it leaves itself vulnerable to excessive stress. To alleviate the potential of neck movement over time, Yamaha has introduced multilayered necks. 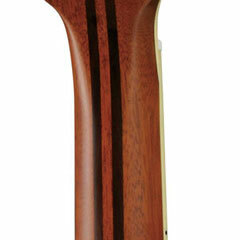 The LL16 model features a strip of padauk set into the center of the mahogany neck. Padauk has been chosen for its strength and the way it complements mahogany tonally. The unique larger bridge on the LL16 provides a more efficient transfer of the string vibrations to the body of the guitar, giving a tight, clear midrange and a full, balanced tone. Handcrafted with chamfered edges, the bridge design offers a perfect balance of tone, comfort, and style. Yamaha has over thirty years experience of crafting quality steel string instruments by hand. Today’s L series guitars are a testament to the decades of that extensive research and development work.